Dubai: Various parts of the UAE experienced moderate to heavy rainfall accompanied by thundershowers on Thursday. The unstable weather conditions are expected to continue over the weekend. The weather instability the country has been experiencing for the past week, which could extend this week, is due to a trough of low pressure extending over the country, accompanied by a trough at the upper air levels, according to experts. Lightning flashed in most parts of Dubai early Thursday morning and the downpour caused heavy traffic on many UAE roads. Abu Dhabi and Al Ain also witnessed moderate to heavy rainfall. Falaj Al Mualla in Umm Al Quwain recorded the highest rainfall at 24.6mm, followed by Ras Ghanada in Abu Dhabi with 15.8mm. 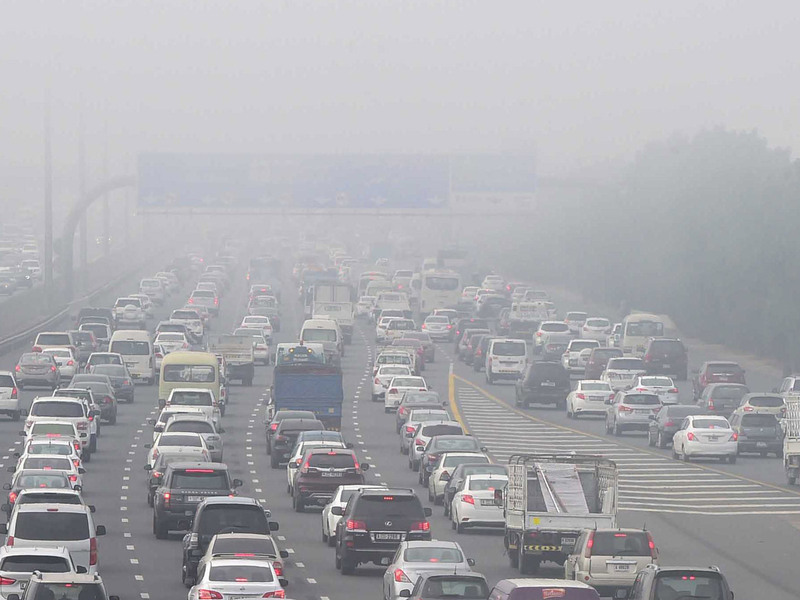 The lowest temperature recorded in the UAE was 10.2C on Thursday morning. On Friday, one can expect a fog and misty in the morning. Drivers are advised to be cautious as visibility may be reduced. The UAE is also expected to receive morning showers accompanied by moderate wind speeds between 20km/h to 30km/h. During the day, forecasters predict clear skies in most parts of the city, giving residents a chance to enjoy the outdoors. Saturday will see partly-cloudy to cloudy skies, with the weather being mostly sunny over the coastal cities of Dubai, Abu Dhabi, and Sharjah, the western region and the islands. Residents are however advised to carry their umbrellas as there is still probability of some rain. Temperatures are expected to rise to 33C on Saturday. Due to strong wind speeds, dust and sand are likely to be kicked up with poor visibility over exposed areas. The sea will continue to be moderate in the Arabian Gulf and Oman Sea over the weekend.